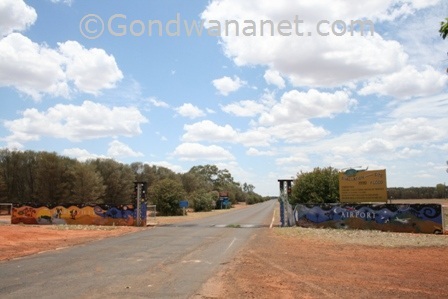 Charleville Queensland is quite a large outback town. It lies in the middle of some vast sheep country, is home to about 3500 people. The town is known for its 1990 floods. In the late 1890s, Charleville became the place where Cobb&Co bult their coaches. In the more recent history - in the autumn of 1990, Charleville became famous as the site of some of the worst floods in the history, when both cars and houses were floating in the water and carried down the streets. There is information on the disaster in the tourist information centre, and there is also a high water mark in town. Today, there is the old Historic House Museum in the town centre, next to the river. South of it, along Sturt Street, is the Bicentenary Park and Stiger Vortex Guns that were used in an unsuccessful attempt to break the droughts in the early 1900s. Also in town is the National Parks research centre where you can meet the bilby on tours starting 6pm on Monday, Wednesday, Friday and Sunday nights between April and mid October. 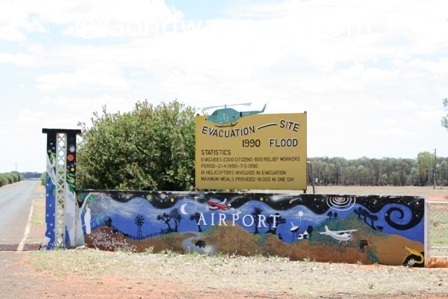 North east of the town is the School of the Air that you can visit, and south are the base of Royal Flying Doctors Service, and the Skywatch Observatory, where you can learn all about the outback night skies and even meteorites. 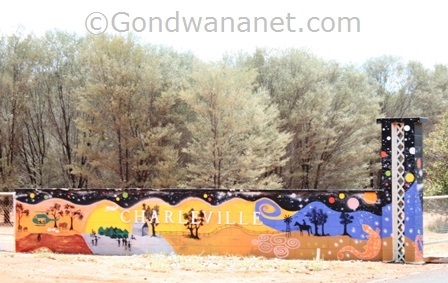 A place to stay in Charleville is Charleville Motel.